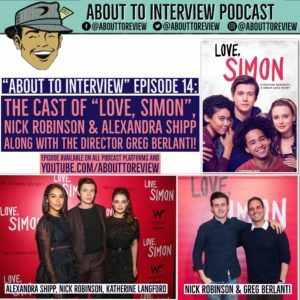 This episode of the “About To Review”/ “About To Interview” podcast has the director, Greg Berlanti, and two of the stars, Nick Robinson, and Alexandra Shipp of the new coming of age teenage romance movie “LOVE,SIMON” (IMDB.com/LOVESIMON). In this short interview, we talked about the importance of this film’s message of friendship and acceptance, as well as the things that make their characters happy. To listen to the full review, tune in next week to the “About To Review” podcast! The film is in theaters now and has a beautiful message that will resonate with many younger people currently going through identity struggles, as well as people who have lived through these same experiences. 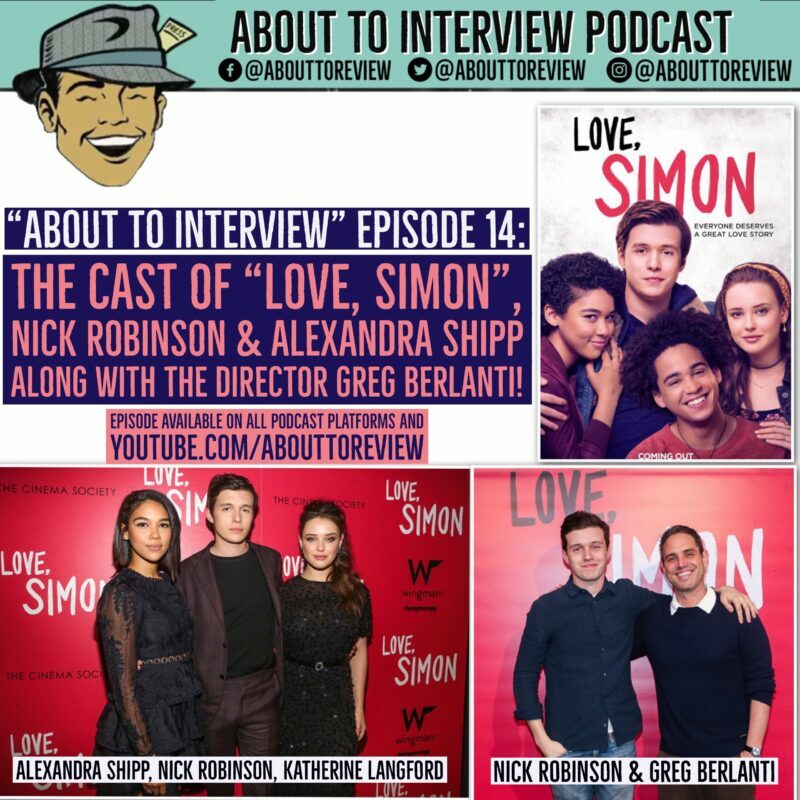 Thank you so much to Greg Berlanti, Nick Robinson, and Alexandra Shipp for making time during their press day to talk to me!